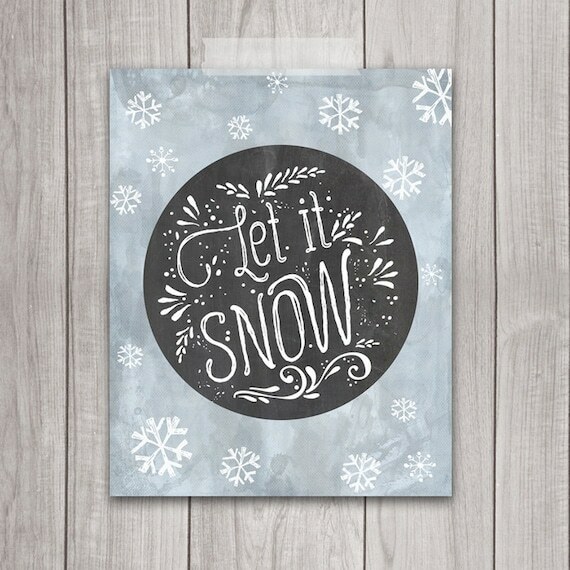 We have a let it snow sign up too! Too bad it never snows here, so it looks a bit ridiculous. I'm a sucker for printables too! I love that cold hands warm heart one- adorable! I love that wreath. I'm not normally a big fan, but I enjoy that it's still obviously winter themed but it has a more chic appearance to it! 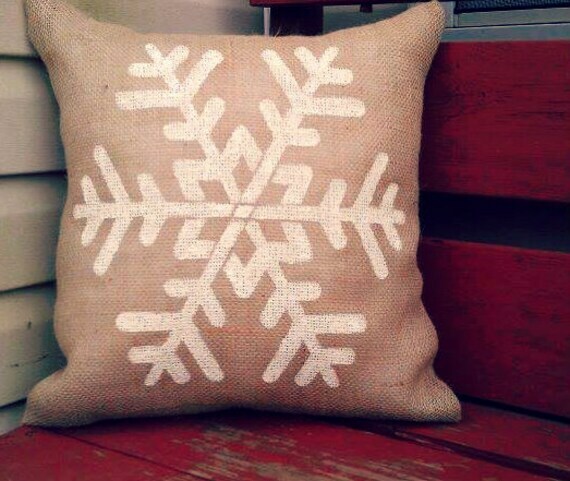 I love that Burlap snow flake pillow! It's so pretty and would totally work all winter! 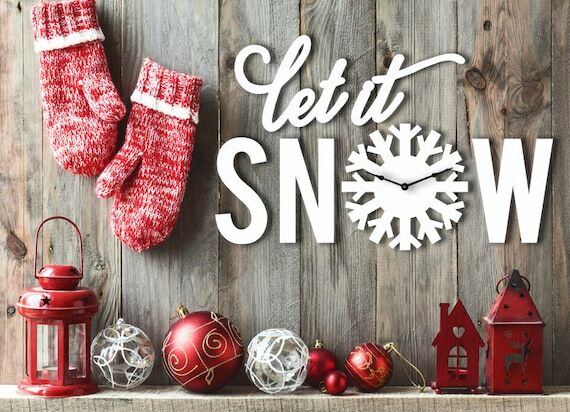 The Let It Snow clock is gorgeous too, and would work throughout the season too! I love snow themed stuff! I don't have a lot of space to decorate but I love looking! i love all of them! that burlap pillow is the cutest thing ever. 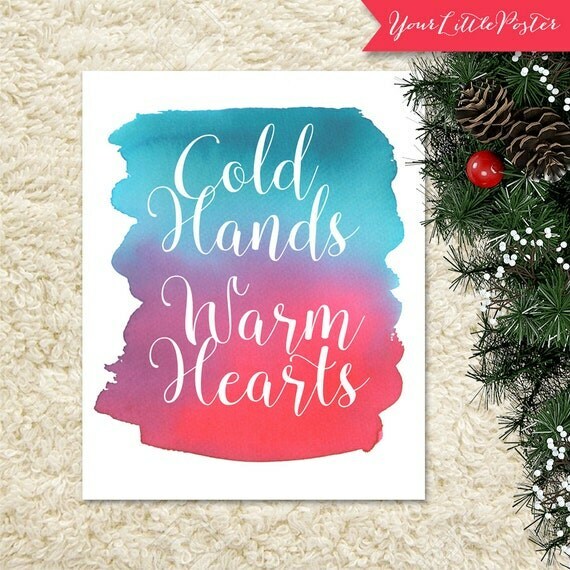 I love the saying 'cold hands, warm heart' too because my hands are constantly freezing! And I am soooo into that wreath. I don't have a wreath at all actually, but I'm obsessed with gold. I love all of these. Such great picks! That mantle decor is fantastic. 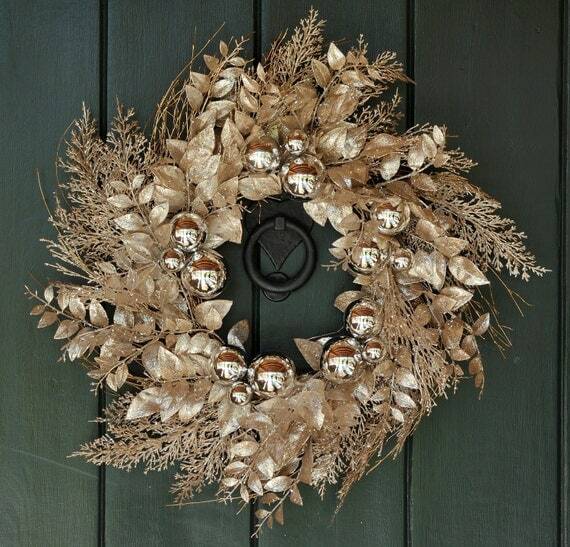 I need a winter wreath too. My Christmas one definitely doesn't work for both. Oh gosh, I love everything!! Seriously. Ugh, I wish I had space to house all that kinda stuff. These are so cute! I love the 3rd sign because its so bright! I love burlap! That pillow is adorable! If it is going to be cold, I wish it would snow! Or just be warm lol Have a great weekend! It snowed so much over the last week! It is definitely better than gloomy days with -21 wind chill! Haha!